Have you recently moved to a new residential home in Piedmont and looking for a way to decorate it? Or do you want to make your garden stand out during the night? If you answer yes to the above questions, then you have landed at the right place. Riemer and Son Landscaping and Irrigation has offered quality landscape lighting services for years to the people of Piedmont Oklahoma. 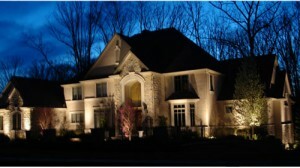 We will not only provide you with incredible landscaping lighting, but we will also give you a good reason to smile. Our company places a lot of emphasis on customer service to ensure that our clients are always happy with our work. 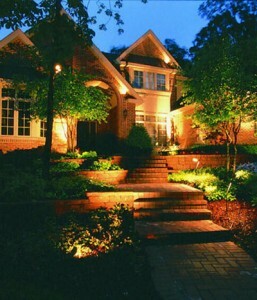 Home owners and business owners in Piedmont that are looking for landscape lighting services that suit their needs are advised to explore different lighting styles, before choosing a style that is suitable for their needs. For example some of the common styles you are likely to get in the market will include; mural, lantern column and pedestal. These are some of the many lighting fixture styles you will find on the market. Whether you are looking for a modern or traditional landscape lighting style, be assured that we at Riemer and Son will help you find the right style for your home. Please call us today at (405)639-7648 to get your free quote on landscape lighting that could really set your home apart from the others. You can also contact us via our Contact Page Here. We proudly service Piedmont, Oklahoma for all of your landscape lighting needs.